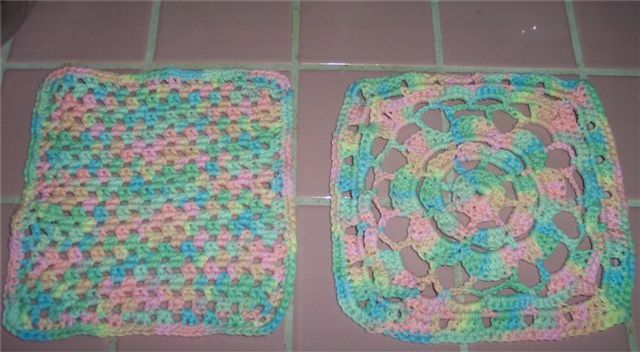 Pastels are what these dishcloths are about. I ordered the yarn to see what it will look like. It is even nice for a baby washcloth. The texture of the material is the right texture for a good quality cotton piece. 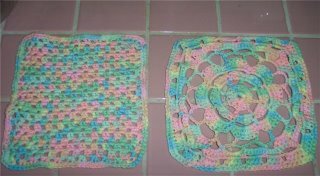 I hope you are enjoying my blog and my crocheting. There is more to come during the next week as I unveil all the discloths that I am making. I love the purples and the yellow and the other fancy colors I am getting. I am also working on a set of pot holders which I am thinking of giving to my sister.